Merichas; The beach is located at the south part of Iraklia, in the homonymous cove of Merichas. It is a small steep pebbled beach surrounded by steep cliffs making the scenery stunningly imposing. Merichas cove is ideal for isolation and relaxation while its deep, clean waters will make you not want to leave. 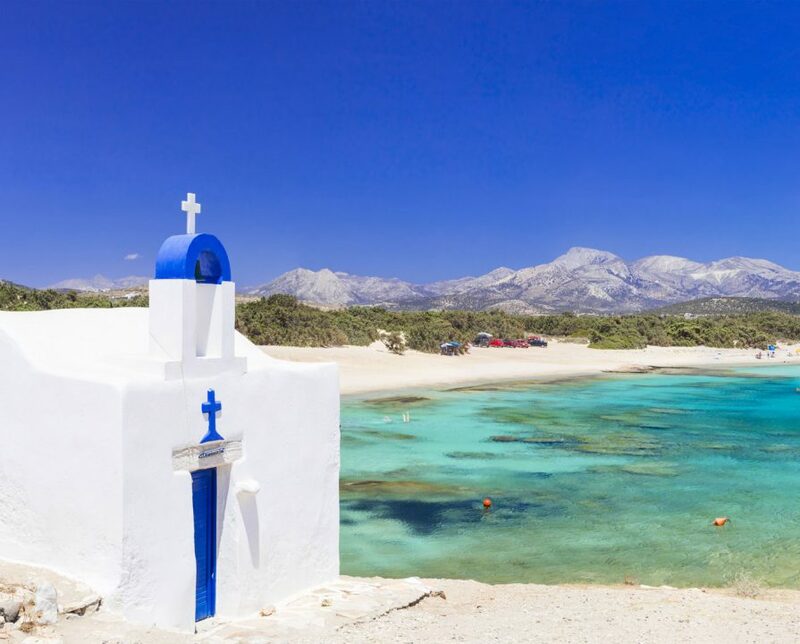 Our next destination will be Schoinousa Island, an island of 9.5 square kilometers area that it is recommended for a relaxing, laid-back holiday. The serenity, the vast blue expanse of sea surrounding and the locals’ warm hospitality soothe body and soul so visitors can enjoy the land and its people.